Speaking at India Energy Forum, its oil minister Khalid al-Falih heaped lavish praises on Prime Minister Narendra Modi and his government for making it easier to do business in the country and ushering in "acche din". Saudi Arabia Monday committed to meeting India's rising oil demand and said it is keen to invest in fuel retailing and petrochemical business in the world's fastest-growing energy consumer. "My frequent visits to India are indicative of the importance Saudi Arabia attaches to this great nation as a critical energy and a strategic global player," he said calling the county an "emerging superpower". Saudi Arabia is the India's second-biggest oil supplier behind Iraq and is committed to meet any shortfall that may arise due to sanctions on Iran, he said. "I had the privilege of meeting Prime Minister Narendra Modi and Oil Minister Dharmendra Pradhan today. I assured them of our full and continued commitment of meeting India's oil demand as well as continuing to invest here in India," he said adding Saudi Arabia will maintain close contact with major consumers and seek their views. India, the world's third-biggest oil importer, is facing record high retail prices as international crude rate soared and rupee value dipped. He cited his country's national oil company Saudi Aramco together with Abu Dhabi National Oil Company (ADNOC) signing up for taking 50 per cent stake in the proposed $ 44 billion, 60 million tonnes Ratnagiri refinery and petrochemical complex in Maharashtra as "early example of growing partnership" between India and Saudi Arabia. "But it is not going to be the only one. This is indeed just the start," he said. "Saudi Aramco's desire is also to invest in consumer-facing segments such as retail fuels and petrochemicals, building an integrated downstream business spanning India as well as our commitment to invest in crude oil storage here in India in order to be more responsive and closer to the demand needs". 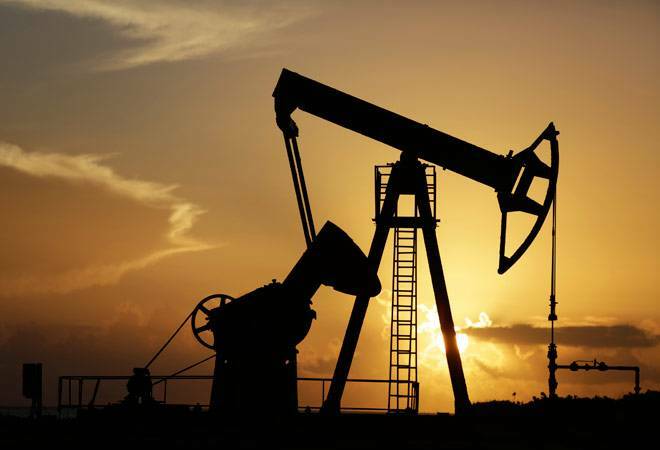 The government has announced plans to build two strategic storage facilities to hold 6.5 million tonnes of oil costing around Rs 11,000 crore through a joint partnership between state-owned firms and private companies. Also, SABIC, the petrochemical giant of Saudi Arabia, is keen to invest in Indian petrochemical segment. He went on to praise the present government for its policies and vision. "Under Prime Minister Modi's stewardship, today I am glad to note that doing business in India has become significantly easier. FDI has grown and inflation is under control. In other words, Prime Minister Modi is making good on his promise of Achhe din... good days are here. We see good days in India," he said. The minister said India's accelerated economic growth is playing a major role in rebalancing the distribution of global economic growth. "India is the world's fastest-growing energy and oil consuming nation. And this trend is playing an important role in driving future demand for oil and gas for decades to come." Talking of global oil markets, he said there could be another round of unanticipated disruptions because of events in places like Nigeria, Libya and Venezuela. "And we have seen sanctions on Iran. These supply disruptions need a shock absorber and the shock absorber to a large extent has been Saudi Arabia," he said. "We have invested tens of billions of dollars to build the spare capacity of 2-3 million barrels per day over years." But for this spare capacity that Saudi Arabia has used to deliver extra barrels in the market, oil prices would "easily be at the three-digit range", he said. Oil prices hit a four-year high of $ 86.74 a barrel earlier this month as the market grapples with the expected loss of Iranian exports due to US sanctions. Rates have cooled to $ 81.23 Monday.